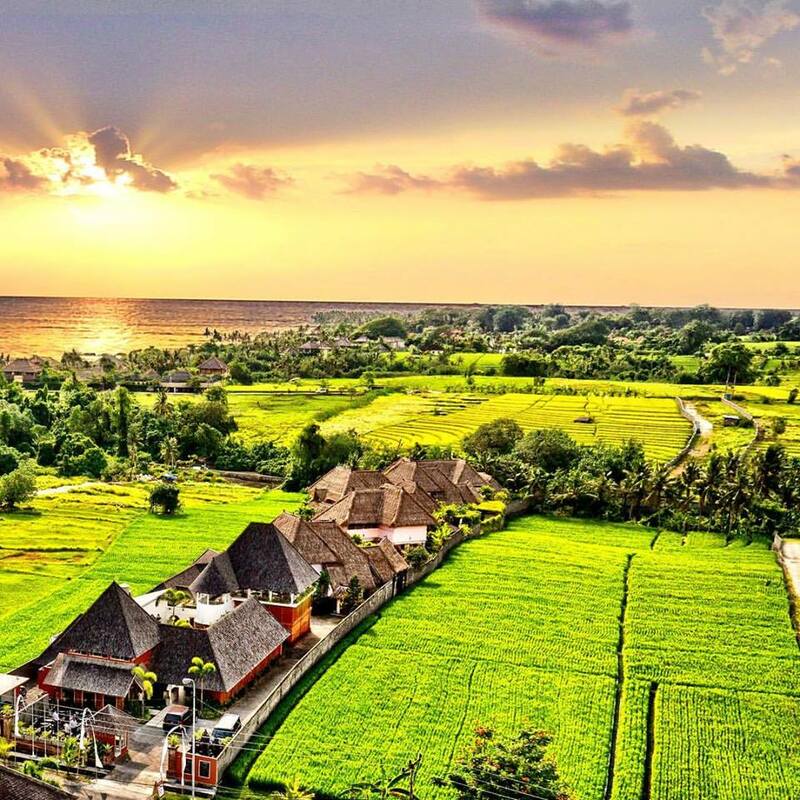 Enter another world at Hacienda – an enchanting, visually-stunning boutique retreat, restaurant and event venue on Bali’s southwest coast. 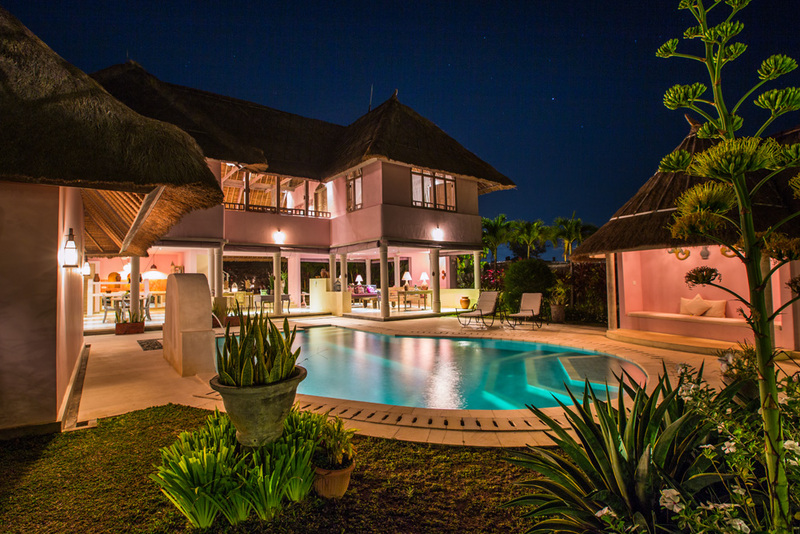 We offer accommodation for up to 28 guests in five private-pool villas, with space, facilities, and expertise to host weddings and parties for an additional 100 guests. Here, romantic architecture, colorful interiors, and handcrafted artistry are intermingled with contemporary notions of privacy and comfort, capped with round-the-clock personal service. In this tranquil out-of-town location, you will be spellbound by the mesmerizing view of managed nature and the not-so-distant waves. Enjoy the pampering diversions of in-house massage and spa treatments. 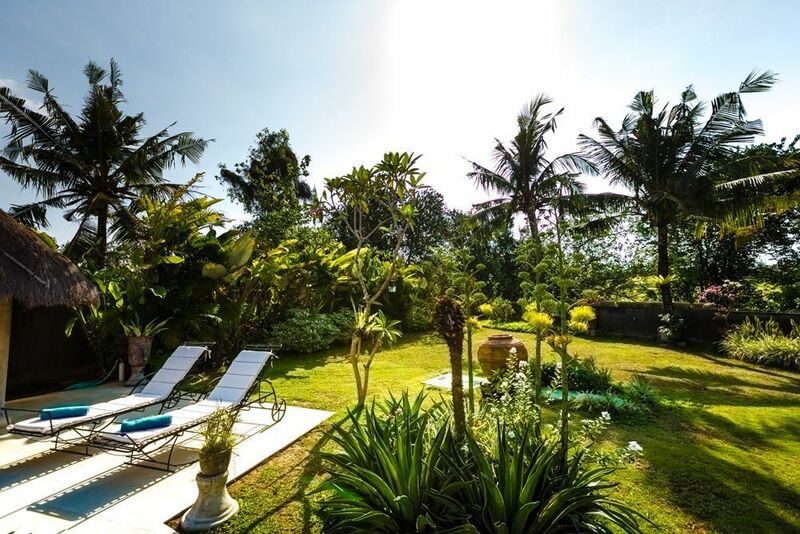 Practice yoga or meditation beside the rice fields accompanied by an occasional flutter of notes from the wind-chimes, or flop upon a sunbed for an afternoon-snooze beside your own private swimming pool. From a small festive dinner party for 10 people to a larger scale event for 100 guests, our team at Hacienda will handle every aspect and detail of your party, while customising it to be as elegant or as eclectic as you wish. We will help you with every stage of the planning; guiding you through every decision, listening to what you want and need, and responding with suggestions that will make all the difference on the day. 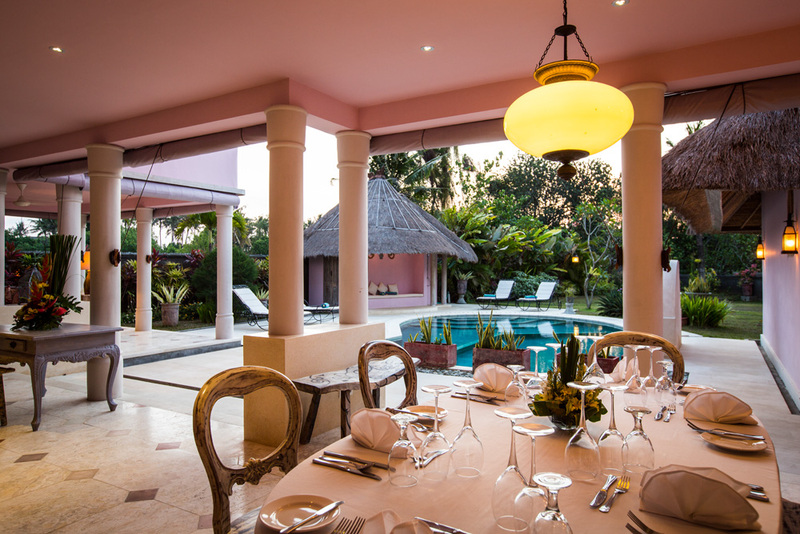 Beginning with the unique ambiance and top class amenities of a blissful location and a charming venue, and rising through the sensations of an exquisite meal, we will continue to delight you with our stylish, artistic expression.